Perth is a perfect destination for a great day out or tour. Right in the middle of Scotland and only an hour away from both Edinburgh and Glasgow, the Perth area is easily reached by all modes of transport. No matter how near your home, Perth has something different to offer you and there's so much to see and do in such a compact area, you'll be spoilt for choice. Enjoy a great day's shopping in Perth, indulge yourself with excellent, good value food, visit fascinating attractions, experience exciting events, find a remarkable tree and woodland heritage, see some of the finest private gardens and public parks in the country and take in centuries of Scottish history along the way - the list is endless! If you prefer a more active day out, enjoy walking in lush green countryside, a game of golf at one of the forty courses in the area or follow one of the many cycle routes and enjoy magnificent views, fresh, clean air and delightful towns and villages by bicycle. 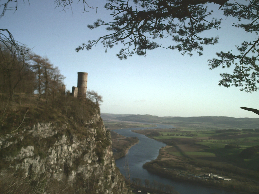 Tour Perth and Scotland on a relaxing, small group tour with Sandy Stevenson who lives in the area and has a great knowledge of all things Scottish.